Entrepreneur. Writer. Dog Lover. Island Dweller. 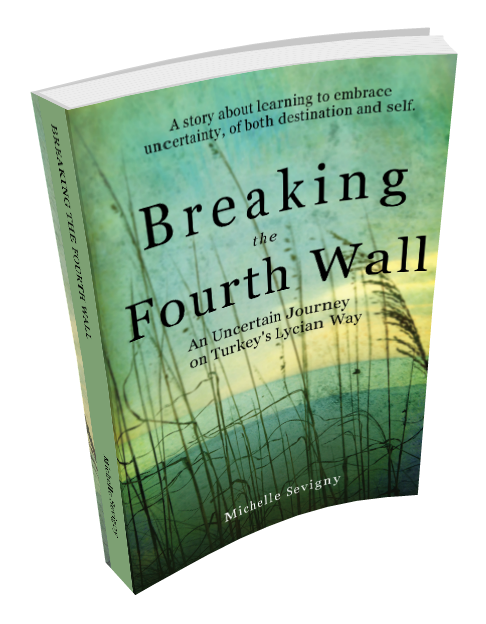 ​Breaking the Fourth Wall: An Uncertain Journey on Turkey's Lycian Way, is a story about learning to embrace uncertainty, of both destination and self. .... find out more. ​",,,beautiful phrasing and imagery, a gem of a story." "...Breaking the Fourth Wall establishes Sevigny as a serious and dynamic author of travel writing."